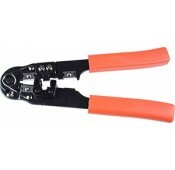 Crimp tool for CAT5e/6 Super Flat RJ45 style modular plugs. Specially designed to set contacts and strain relief for RJ45-PLG-USF, CAT5E-SF-RJ45, CAT6-SF-RJ45 in one crimp without moving the plug. 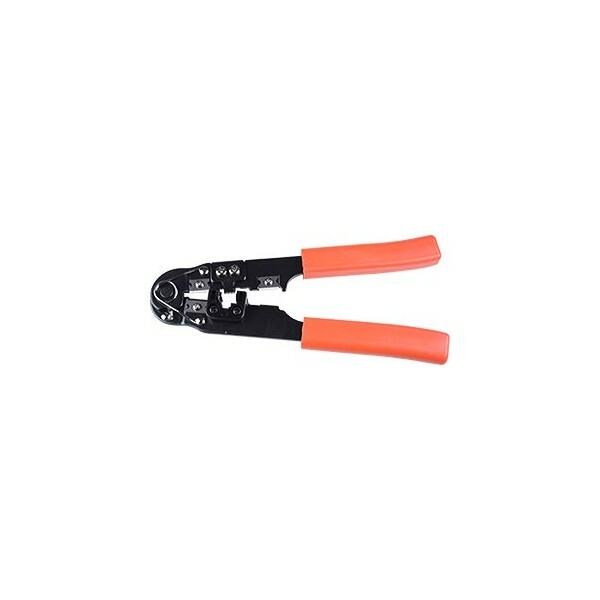 250ft 32AWG CAT5e UTP Stranded, 0.04" Ultra Super Flat Bulk Ethernet Bare Copper Cable - Black.